Singapore plans to make it easier for start ups and SMEs to raise money through securities-based crowdfunding (SCF). The Monetary Authority of Singapore (MAS) said it will simplify the check required on investors and reduce the financial requirements for investors ‘Small offer’ issuers, raising less than S$5 million ($3.7 million) within 12 months, can currently do so without issuing a prospectus but only if they pre-qualify all investors based on their knowledge, suitability and financial means. Under the new rules, issuers will only need to inform investors of the risks of SCF investments and gain confirmation that the investors have read and understood this. MAS is also working to close a loophole that lets platforms use promissory notes to get round the need to hold a capital market services licence and to publish a prospectus, The Business Times reported. The loophole is created by an exemption that allows promissory notes worth at least S$100,000 ($74,000) and maturing within a year to be issued without a licence or prospectus. MAS told The Business Times that the exemption was designed to help borrowers with good credit to access short term financing from sophisticated investors. However, some platforms have been consolidating loans from several lenders to pass the $100,000 limit and save on the cost of a licence or prospectus. MAS hopes to amend legislation by the end of the year to remove the exemption, The Business Times said. MAS will also reduce the financial requirements for SCF platforms that only want to raise money from accredited and institutional investors. So long as the operators do not “handle or hold customer monies, assets or positions, and do not act as principal against their customers”, the base capital requirement and minimum operational risk requirement for such intermediaries will be reduced from $250,000 to $50,000. The requirement for a $100,000 security deposit will also be removed, MAS said. MAS will publish new guidelines on SCF-related advertising, making it clear that platforms can advertise their services as long as they do not promote specific deals that have not been completed. 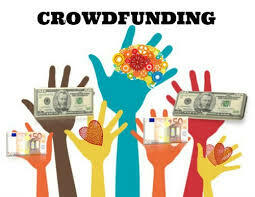 It will also produce a Frequently Asked Questions (FAQ) document on lending-based crowdfunding, it said. Crowdlending platforms in Singapore asked MAS in September 2015 to issue clear regulations on their industry. Five Singapore-based platforms came together to ask for proper regulation to help the industry grow and in turn support start ups and small and medium enterprises. Purchasing an investment property is a beneficial avenue to financial security. Australians have identified the prosperous nature of real estate and the long-term advantage property investment affords. However securing the highest possible return isn’t always straightforward.